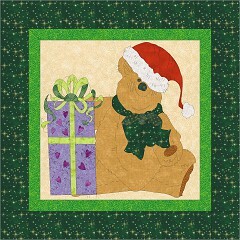 DJ Bear Has A Gift For You is a pattern created from the Jolly Holly artwork cd provided to Seams To Be Sew by DJ Inkers. This pattern will be free thru December 01, 2015. - This file has been updated on Nov 28, 2015.